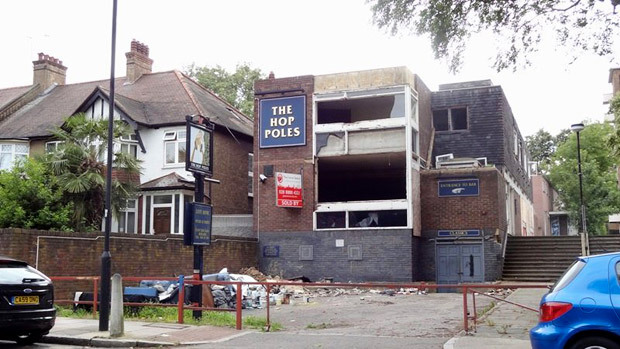 Pubs are still continuing to disappear from the area at a worrying rate of knots. 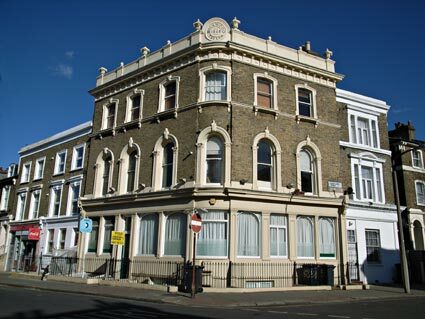 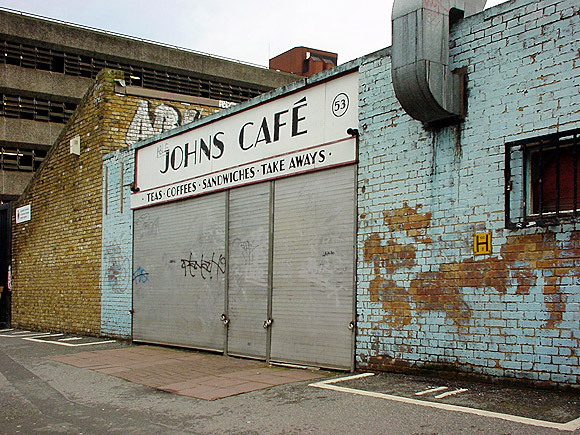 Today I took a look up Lyham Road, Brixton SW2, a road that has lost no less than four of its five pubs in the last five years or so. 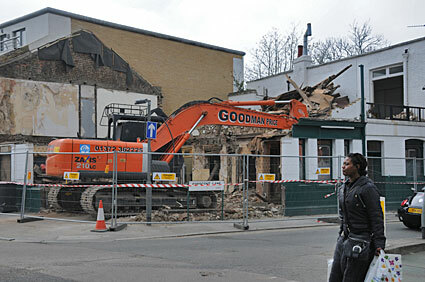 I’d rushed up to catch the last rites of the Royal Oak at 2, Lyham Road – the pub was open for business only a couple of weeks ago, but the digger moved in late last week and had promptly set to work. 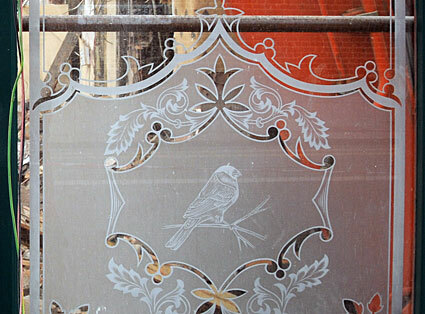 Attractive etched glass window on half-demolished wall. 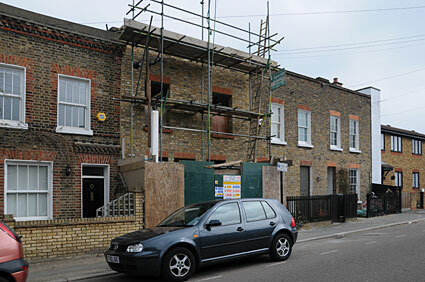 Judging by the destruction of the rest of the pub, I don’t think any of these lovely windows are going to be preserved. 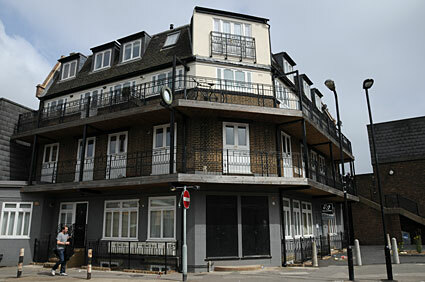 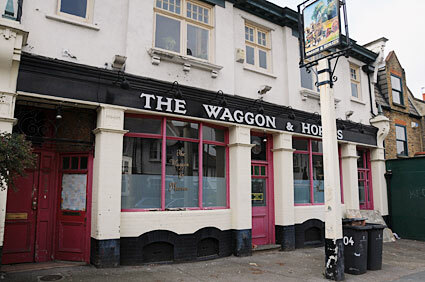 Another casualty was the Waggon and Horses at 206 Lyham Road, which, despite appearances, has been closed for some time. 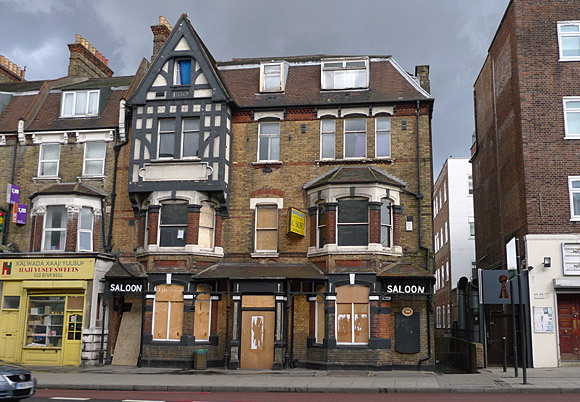 The old Duke of Cornwall at 89, Lyham Road has had some rather bizarre alternations made to it, and the building looks quite ugly with its bolt on balconies..
There’s barely anything left of the Red Lion at 191, Lyham Road, with the frontage being completely rebuilt. 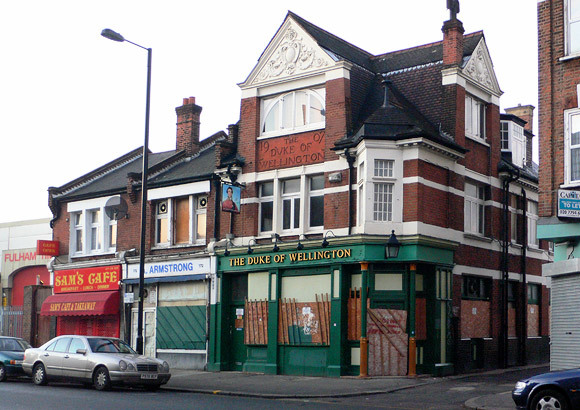 Happily, the sole remaining boozer in Lyham Road, the Prince of Wales, appears to be in reasonable health for now.